LSU has over 300 vending machines around the campus. They may hold many different types of items such as snacks, drinks, or testing supplies like Scantrons and bluebooks. 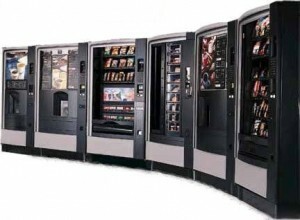 Most machines only accept cash in the form of a paper bill, though some of the vending machines also accept change in coins or even TigerCash and credit cards, via a Credit option. If a problem is encountered with a machine such as a product not being released properly, resulting in lost money, it should not be assumed that another person has already reported the problem. Vending Services asks anyone who encounters vending machine problems to report the problem at 225-578-3263 or by emailing uas@lsu.edu.